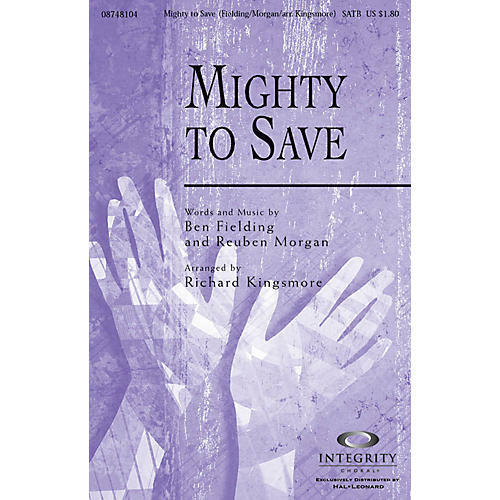 Mighty to Save has already become a favorite of many congregations, and could be a great song of celebration for any Sunday, but especially on Easter morning. Available separately: SATB, Orchestration (fl 1, 2, ob [=ssx], cl 1, 2, tpt 1, 2, 3, hn 1, 2 [=asx], tbn 1, 2 [=tsx/bar], tbn 3/tba [=barsx], perc 1, 2, timp, hp, rhythm, vn 1, vn 2, va [=cl 3], vc/bn [=bcl], b, keyboard string reduction), CD Accompaniment Trax. Duration: ca. 4:55.